New gTLDs, easy preregistration free of charge! New gTLDs preregistration module. A free service! The coming launch of over 1000 new domain extensions will significantly change the Internet. Whether you are a small business owner looking for that perfect domain for your .BUSINESS or .SHOP, on the .WEB, or a great fan of .FOOTBALL, now its time to lay claim to your new gTLD. Simply check out the gTLD top 50 below, or select a category of your choice. Write your domain string in the search field and click on the gTLDs you would like to preregister. Use of the gTLD preregistration module is free of charge and without any obligation to buy later on. 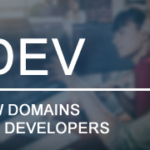 We will keep you updated on future developments related to your preregistered domains, including information about pricing and regulations, once these have been announced by the gTLD registry responsible. Do you .LOVE watching .SPORT in .LONDON? Well those and over 1000 other domain strings are coming. The first launches will start November in 2013. It is expected that the whole process may take over 3 years. The New gTLD Program is a current program set out by ICANN, the internet domain authority. This first stage program will add as many as 1409 new gTLDs. The program’s goal is to enhance competition, innovation, and consumer choice. You can see it as your opportunity to get that perfect domain which was taken by someone else. 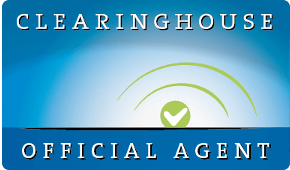 If you are a trademark owner, it is very important that you familiarise yourself with the Trademark Clearinghouse (TMCH). With over 1000 new domains coming, the TMCH has been set up to allow trademark owners a single point from which they can submit and protect their intellectual property. Web Solutions offer Managed TMCH Services. We will streamline the process of collecting, submitting and managing submissions to the TMCH, securing that all associated SMD files are included and managed.